There are many reasons why a family may want to seek counseling, such as, divorce, remarriage, combining families, addiction, communication deficits, parenting concerns, trauma, etc. In sessions we will identify the family system and what needs to change that allows for family cohesion. Learning how to effectively communicate and set healthy boundaries can solve most family conflicts. 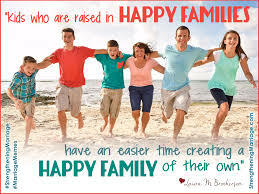 The goal in family sessions is to reach family agreeance and harmony, promoting more peace in the home.